Is mobile POS the future to brick-and-mortar retail? 30 Nov Is mobile POS the future to brick-and-mortar retail? As the evolution of in-store retail continues to cater to fast paced shoppers who are not looking to waste the day standing in line for ten minutes on a transaction that will take one minute to complete. The Omni-Channel approach to sales seeks to provide the customer with a seamless shopping experience whether the customer is shopping online from a desktop or mobile device, by telephone or in a bricks and mortar store. Therefore the development and importance of mobile POS is likely to become a very recognisable feature whilst shopping and it will be something you will notice come into prominence more and more in 2017. The ability to use a smartphone, tablet or dedicated wireless device that performs the functions of a cash register or electronic point of sale terminal is becoming a key focus for many retailers. This is a trend that is guaranteed to keep gaining momentum, businesses want the flexibility and convenience of using tablets connected to other wireless POS components so consumers don’t have to line up at a counter to complete laborious transactions. Why will mPOS will be a key feature to in-store retail? 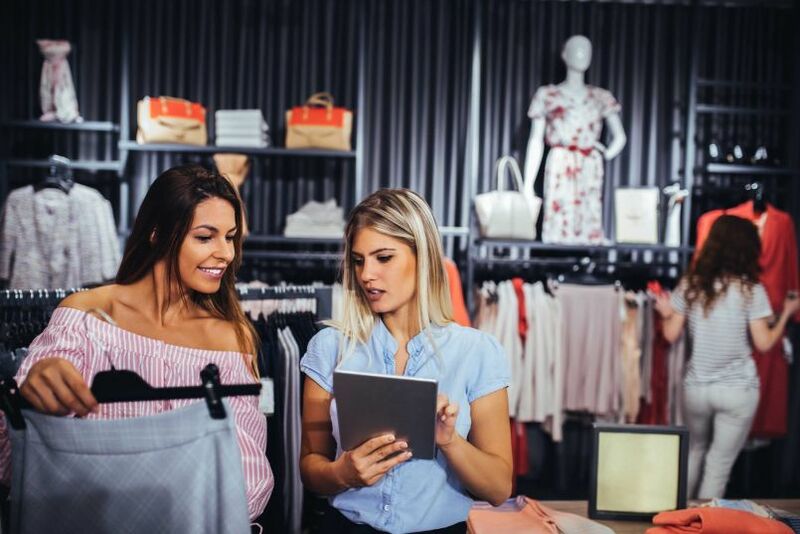 The ability of brick-and-mortar stores to adapt and evolve is vital to maintain the relevance of shopping in-store in a world where e-Commerce is becoming more and more dominant. Boston Retail Partners research has indicated that retailers are looking to create a true unified commerce environment, 85% of retailers indicated this was the top priority for 2016. This paired with improving customer engagement and the customer experience being critical, of which 68% of retailers indicated this was also a focus for the upcoming year. The development of mPOS will be a welcome site for shoppers during peak hours and the holiday season. The capability to add new tills by switching on additional iPads, allows retailers to reduce lines and ring up sales much faster, with the Christmas season on the horizon the idea of a packed shop will be a horrifyingly stressful thought for many of us but with the use of mobile Point of Sale systems this should be a ghost of Christmas past. Many people have voiced concerns on mPOS destabilising security however BRP have found that 38% of retailers have realised that they will need to establish the impact on PCI compliance and introduce new security controls. Tablets with POS software allow retailers to monitor their stock, take credit card payments, and oversee stock records from one device. It’s the wave of the future and 2016 paved the way for the tablet POS market and 2017 will continue this advancement into the future of in-store retail.